You are here:Home-Uncategorized-What is WordPress Hosting? Building your new website on the WordPress platform is one of the easiest and most expeditious ways to launch your new blog or online business. Depending on what type of web-based project you wish to launch, you will have any number of different hosting needs. Here you’ll learn about WordPress web hosting, the various options available, and how building a website with WordPress may be the best for your site needs. WordPress is an open source content management system that allows even the greenest builders to design and create their own website. It can be used to build anything from a simple blog page, to e-commerce to business or portfolio websites. “Open-source” essentially means that it is constructed of elements built by and shared amongst those who use it. There’s a vast community of savvy web-designers out there who design and build useful tools to help others build websites on the WordPress platform that they would otherwise be incapable of creating. Many of these tools, known as plug-ins, are made to help you with every aspect of your site, from aesthetics to layout to content creation. WordPress hosting is any form of web hosting that is specifically optimized to function with websites built via WordPress. Websites built on the WordPress platform have some unique characteristics that can cause functionality issues if not properly optimized — meaning certain elements may not load properly, increased load time, or the website could become unreachable altogether. When this happens, it is common for readers or customers to exit your site, costing you valuable traffic and potential sales. For those on a narrow budget, shared hosting is available to house your WordPress site. In this case, WordPress users share a server that isn’t necessarily optimized for the specific demands of the WordPress platform. As with any other shared hosting environment, resources such as disk space and bandwidth are shared amongst all accounts housed on the server. This can create competition for resources which may result in reduced performance and load time of your site. Although shared hosting does come with some general customer technical support and a price tag that even the smallest business can afford, this form of WordPress hosting often fails to meet the needs of larger or more complex operations. Often, sites built on WordPress that are hosted in a shared environment share server space with sites that are built on other platforms. Because of this, the technicians who provide support for the server are expected to be able to service sites built on any platform, not just WordPress. This jack-of-all-trades expertise can cause the quality of technical assistance to drop noticeably. Additionally, there are typically a very large number of websites hosted on each shared server. It makes sense from a fiscal perspective — when the price of the service is low, hosts need to pack a lot of clients into each virtual server space in order to turn a profit. However, the need to serve so many clients may cause a support team to be spread thin, which can have a negative impact on the quality of their work. Those who have a need for additional speed, enhanced security features and additional technical support will have to look elsewhere to fulfill all of their hosting needs. The shared nature of resources and lack of private space in a shared hosting environment creates challenges to both security and performance. Security is difficult to provide effectively for websites hosted on the same server due in part to the sheer volume of sites being hosted. With so many opportunities for malware or poor coding to take root, a greater number of scans must be performed in order to defend against them and root them out when they’ve taken hold. Also, much like when a pathogen is released in a space occupied by a large number of people, it is much more likely that an infection will affect other members in a shared environment. The same holds true in regard to performance issues. When one or more websites on a shared server begin to hoard resources due to traffic spikes, the negative impact on neighbors can be dramatic due to the sheer number WordPress users on a single web server. When a lot of websites are affected, it is the responsibility of support technicians to fix them all. With so many to fix, performance can be delayed for extended periods of time. In light of this, those who prioritize performance, enhanced security features and strong technical customer support over lower pricing may also want to look elsewhere to fulfill all of their web hosting needs. Managed WordPress hosting, in comparison to shared WordPress hosting, tends to offer quite a bit more in the way of technical support and security. They also offer superior operating speed and performance with larger amounts of resources (and no competition) available for use by each individual client. In comparison to the general support included with shared hosting, the support you receive with a managed host is much more in depth and more readily available. Technical support for managed WordPress hosting is well-versed in the specifics of the WordPress platform and thus is able to assist on a wider range of topics than you’d get with a shared package. Also, since a managed host server will have far fewer clients hosted on it than a shared server, those assigned to assist you have more time to offer and are more easily reached than those who oversee shared servers. Managed hosts provide significant upgrades in both speed and performance over their shared host counterparts. As mentioned, direct competition for memory and bandwidth can cause sites on shared plans to become glitchy, and sometimes become unavailable altogether. With a managed host, not only are resources allocated for the sole use of each individual client, but technicians are on hand to monitor performance and rectify any errors that may occur. Also, since this support team is comprised of trained professionals, they are often able to correct any operational errors far more efficiently than the average Joe, maximizing uptime and the overall performance of the WordPress website. Under the oversight of a managed host, site and server security are much stricter than most users would be able to provide on their own. Protective tools are optimized for the specific needs of WordPress by virtue of features that take into consideration the unique needs of the WordPress hosting platform. Since all servers in a managed environment are running WordPress, all security measures can be standardized to apply across the board. This helps the hosting provider streamline their routine maintenance processes and leaves their technicians with more freedom to focus on other security measures like installing patches or upgrades as soon as they are made available. A desirable hosting package for your WordPress site is going to combine elements designed to provide both convenience and essential performance at an affordable price. Elements designed to make operation convenient will include things like ample storage, plenty of bandwidth, an easy to use control panel, and various other bells and whistles that make your life easier. Features designed for optimum performance will include things like expert customer support, automatic malware removal and integrated security systems. Domain.com offers WordPress hosting packages that incorporate all of these elements at a great price. Acquiring enough storage space to house all of your files is a primary concern when considering a new hosting plan. For those of you looking to host a simple blog or small site, there is little risk of running out of disk space. However, for those looking to host an e-commerce site, or combine your blog with your e-commerce and web-based storefront, having a plan with unlimited storage is a huge draw. Not only does this allow you the room to get started, it allows you to scale as your business grows. Domain.com offers unlimited storage as part of both their Starter and their Essential WordPress hosting packages. Another primary concern is gaining access to enough bandwidth to ensure that your site is able to run smoothly at all times. When websites have a slow load time or become glitchy, readers and customers tend to bounce from the site. This results in lost traffic, conversions, and sales. In some cases, lack of sufficient bandwidth can cause your site to become entirely unreachable. Obviously, if readers or customers can’t reach your site, they can’t consume the information you wish to provide or purchase the products you offer. Domain.com offers unlimited bandwidth across all WordPress packages to ensure that your site experiences minimal downtime and runs as smoothly as possible. A customizable control panel allows you to set up your space with convenient access to the tools that you use the most. It’s a fantastic way to streamline your everyday operations by ensuring that you waste no valuable time sifting through features that you don’t need. Bloggers have little use for e-commerce tools, and vice versa. Each is well-served by Domain.com’s customizable control panel. One of the coolest features of WordPress is that it is open-sourced, giving you access to nearly endless themes and plugins designed to serve nearly any need. However, finding, researching, and choosing the best ones for your specific needs can be time-consuming, especially for the newbie. Domain.com’s hosting plans feature a pre-installed set of themes, curated to fit nearly any taste, and useful plugins like W3 Total Cache and Jetpack—some of the most functional and popular tools available. As one of the “bells and whistles” referred to above, Domain.com offers free .blog domains as part of both the Starter and Essential packages. A blog is another outlet that allows you to build brand awareness and recognition through periodic dissemination of information and offers. Domain.com lets you utilize this resource free of charge. Live support from WordPress experts is included with every WordPress Essential hosting subscription. Frankly, there is quite a bit to know about building a website with WordPress and having access to a real-life expert can simplify the process. There are plenty of online resources including our Domain.com blog and other forums to help you learn as you go, but sometimes it can be difficult or time-consuming to get the exact answer you’re looking for. Having a live expert on hand 24/7 is a massive boon to your learning process. Domain.com offers complimentary access to Sitelock professional security and malware protection with every Essential subscription. Sitelock conducts daily security scans on your website to track down any malware or harmful code that shouldn’t be there. In the event that malware is detected, you will receive an alert via email and your control panel and the Malware Removal Tool will automatically remove it for you. How Much Does WordPress Web Hosting Cost? Web hosting for WordPress sites is remarkably affordable with the most basic packages starting under $5 per month. Packages that include more advanced features such as increased security, access to better tech support, or any number of other additions are still affordable at under $10 per month. What is the Right WordPress Hosting Option for You? 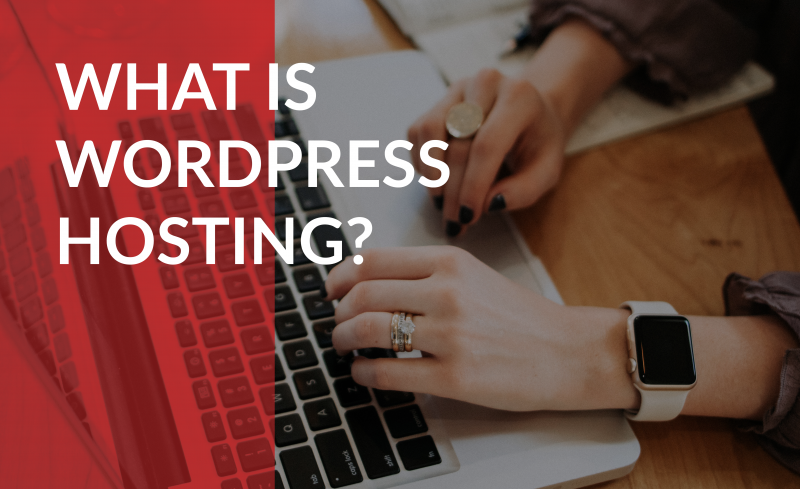 While there are a number of different options available to host your new WordPress website, it should be comforting to know that none of them is likely to break the bank. If you are simply looking to host your personal blog or an ecommerce site, then a cheap shared hosting plan might be just the ticket for you — serving all your basic needs and saving you a few bucks in the process. Those of you with more substantial needs should consider more elite options like Domain.com’s WordPress Essential package, which boasts performance, security, support, and a few bells and whistles all for a fantastically low price. Don’t know which hosting solution is right for you? Domain.com is one of the best WordPress hosting providers on the market and can help you build the website of your dreams. To learn more about our website builder or hosting services, please chat with or call one of our expert representatives today.